In October 2017, the U.S. Department of Transportation (USDOT) and Federal Aviation Administration (FAA) announced the formation of the Unmanned Aircraft Systems Integration Pilot Program -- otherwise known as the UAS IPP. The program was designed to safely test and validate advanced operations for drones, with the goal of accelerating their safe integration -- estimated to equal up to $82 billion and upwards of 100,000 jobs over the next decade. From a pool of roughly 150 applicants, Cape was proud to be one of just 10 participants selected for the program in May, in partnership with the City of San Diego. Alongside some of today’s biggest names in tech, including AT&T, Qualcomm, Intel and GE, Cape was tapped to help define the future of commercial drone integration, with a focus on public safety initiatives and emergency response support. Since our selection, Cape has played a key role in launching some of the country’s first IPP deployments. 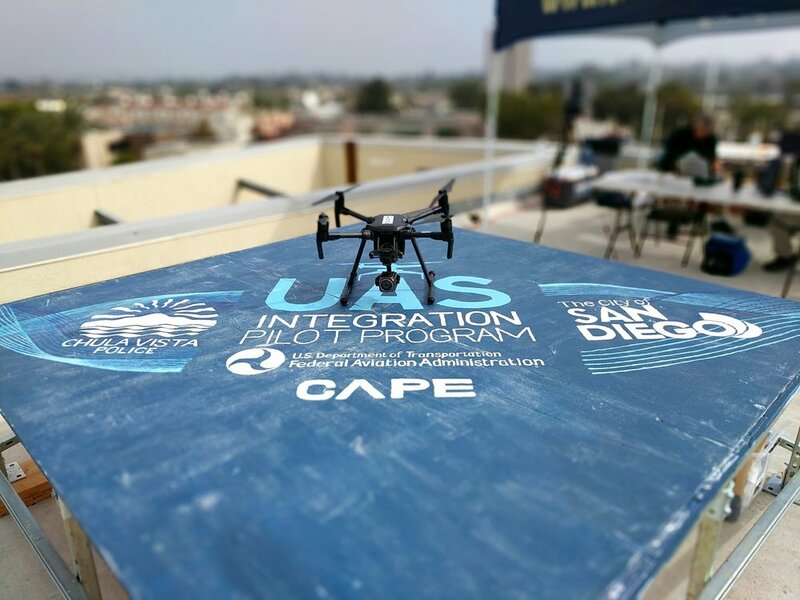 In August, Cape and the San Diego Fire Department marked the nation’s first IPP initiative for emergency response with a live public demonstration showcasing a number of drone capabilities -- powered by Cape -- that the city’s program will leverage to enable real-time visibility and improved situational awareness for first responders. In October, the Chula Vista Police Department (CVPD) officially launched its IPP deployment, integrating Cape-enabled drones into daily emergency response operations. In stark contrast to traditional reactive response programs which offer more limited impact for agencies, Cape, in partnership with CVPD, is pioneering a new approach to drone integration for public safety -- Drone as a First Responder. With the CVPD deployment, drones are now assisting on high-priority calls in one of the heaviest call zones in the city for upwards of 10 hours a day, with plans to increase over time. As calls come in, a drone is launched from the headquarters and teleoperated by an officer in the command center to the location of the call, arriving well ahead of responding ground units in most cases. With the ability to view the live stream en route to the scene, responding officers now have better situational visibility of potentially dangerous situations. What’s more, the command center team can better and more quickly determine resource needs before arrival, ensuring teams are dispatched where they’re most needed. In just the first seven months of our work on the IPP, we’ve already seen incredible results, and have also learned a few key things. First, the program is already driving innovation across industries. In cities across the country, deployments are testing -- and proving the value of -- drone integration for use cases ranging from infrastructure inspection and food delivery to emergency services and agriculture. Concepts that seemed far-fetched just a year or two ago have quickly become reality. And consumers are largely ready to embrace drones, with our recent national study showing that 71% of Americans support law enforcement’s use of drones in their community and 62% would feel safer if drones were used. 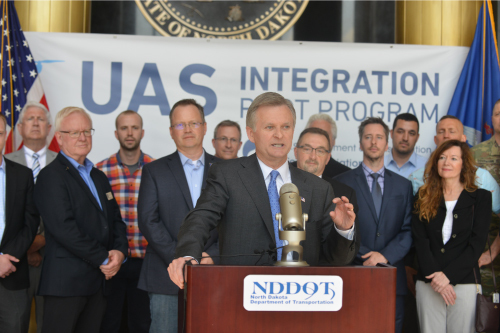 Second, in just months, we have proven that with proper software and processes, first responders can safely and easily integrate drones into the national airspace without significant risk to people -- on the ground or in the sky. Early results from CVPD and other public safety programs have quickly uncovered the magnitude of impact, while successfully mitigating public concerns by working in partnership with their communities and remaining committed to consistent and transparent communication. Third, the IPP is driving progress -- and pinpointing the biggest areas for improvement -- with regards to U.S. commercial drone regulations. Today, for example, Chula Vista is allowed to leverage drones for emergency response support within one mile of its headquarters, where the drones are launched. We’ve already seen the impact within that one-mile radius; imagine the impact if drones could help police forces respond to calls throughout their entire jurisdiction. The technology is there -- and the IPP is helping to push the needed regulatory conversations forward to ensure that U.S. regulations can more effectively keep pace with technological innovation. Just seven months in, the IPP has already proven to be a major step forward for commercial drone integration in the US. Cape is proud to be a part of what promises to be a game-changing federal program and to serve as one of the select technology partners trusted to help build and scale drone innovation for the future. Want to learn more about Cape’s participation in the IPP? Be sure to check out our press section for recent media coverage and to gain a first-hand look at the launch event in Chula Vista.